FRANKLIN, N.J. — The black carcasses of dead starlings still pepper the snowy roads and lawns of central New Jersey’s rural Griggstown community three days after federal officials used a pesticide to kill as many as 5,000 of the birds. Many residents Monday were still getting over their shock from the sudden spate of deaths. Some were unaware that the deaths resulted from an intentional culling and that the pesticide used was harmless to people and pets. The U.S. Department of Agriculture called local police last week and the Somerset County Health Department to warn them that a culling program was under way, but there was no notice that dead birds could fall from the sky, Levine said. All the European Starlings in North America descended from 100 birds released in New York’s Central Park in the early 1890s. A group dedicated to introducing America to all the birds mentioned in Shakespeare’s works set the birds free. Today, European Starlings range from Alaska to Florida and northern Mexico, and their population is estimated at over 200 million birds. 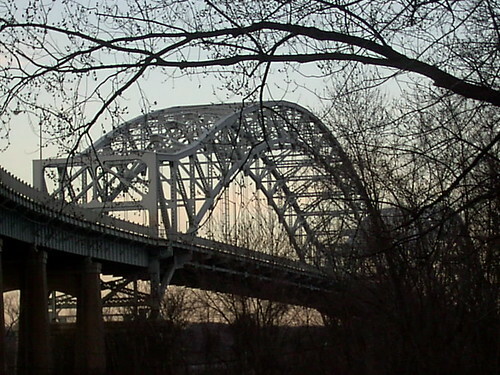 The Charles J. Arrigoni Bridge crosses the Connecticut River connecting Middletown and Portland Connecticut. 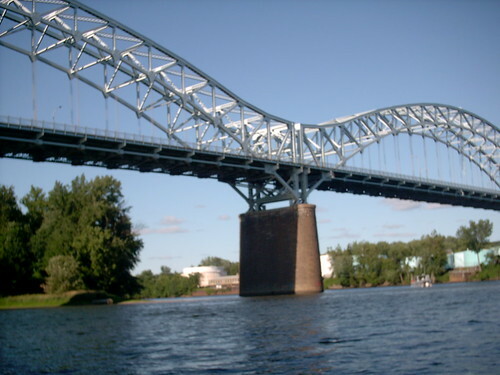 Constructed from 1936 to 1938, when it opened in 1938 the Arrigoni Bridge was the most expensive bridge, costing $3.5 million. With two 600 feet (180 m) steel arches, the bridge is still the longest in the state. In 1938 it won the American Institute of Steel Construction’s first prize “Most Beautiful Steel Bridge” in the large bridge category.The bridge is somewhat of an icon and landmark in the area and is also a marker of where the water begins to freeze in the river (as south of this point the tides are able to bring enough salt water north to keep the water from freezing over.) It was named after the state legislator who promoted the project, Charles J. Arrigoni, and was designed by William G. Grove of the American Bridge Company and Leslie G. Sumner of the State Highway Department. 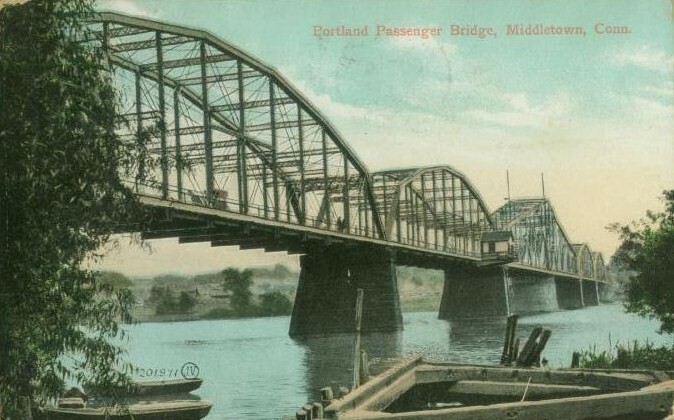 This is a postcard view of the Portland Passenger Bridge (1895) which was replaced by the Arrigoni Bridge. We have added lots of Middletown photographs to these pages; read more…. 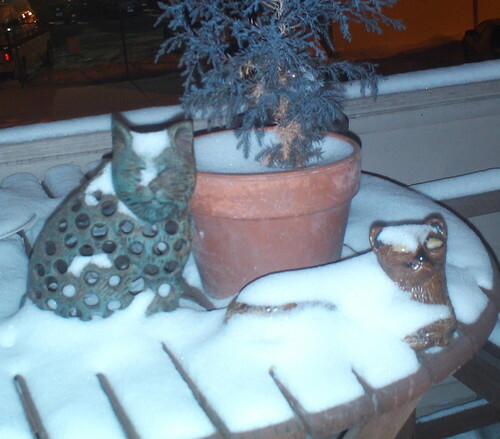 Ringing in the New Year on a Snowy Eve…. What could be better than the Liberty Bell to ring in the New Year!